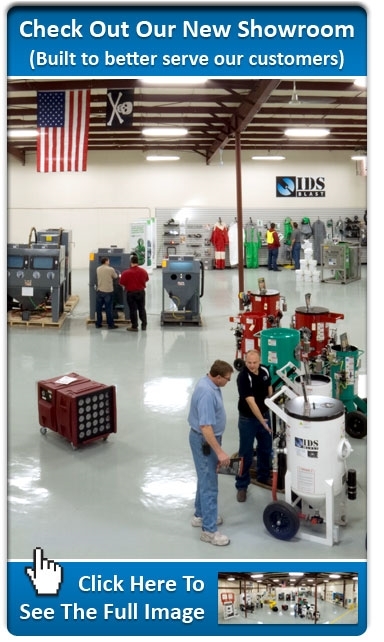 IDS Blast is your premier solution for all things sandblasting. We have over 20 years experience in the abrasive blasting industry and will put that experience to work for you. We are a sandblasting parts & sandblasting equipment distributor and carry a large inventory of replacement parts for all major manufacturers. We also offer several services including on-site equipment maintenance and repair, equipment rental, and have a state-of-the-art sandblasting and painting facility with a wide range of capabilities. Thank you for the opportunity to fill your abrasive blasting needs. We appreciate your business and will be there when you need us.